The bride and groom removed their shoes and said their vows while barefoot in the woods. 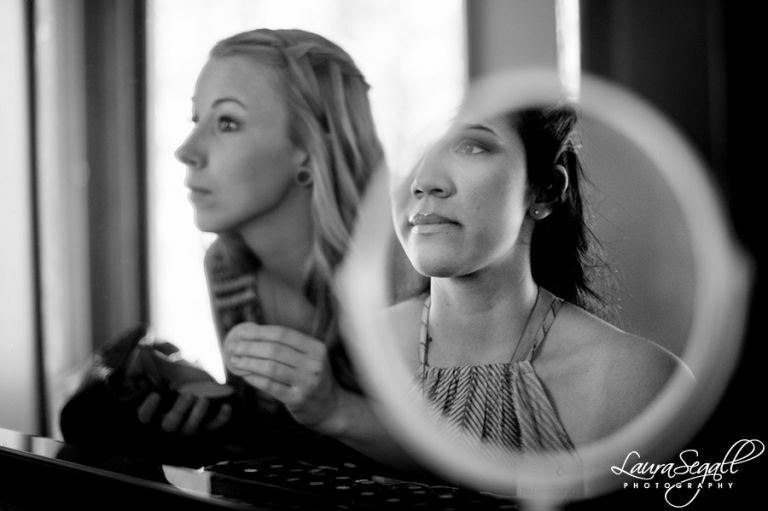 This Flagstaff, Arizona wedding was an intimate, bohemian and laid back affair. 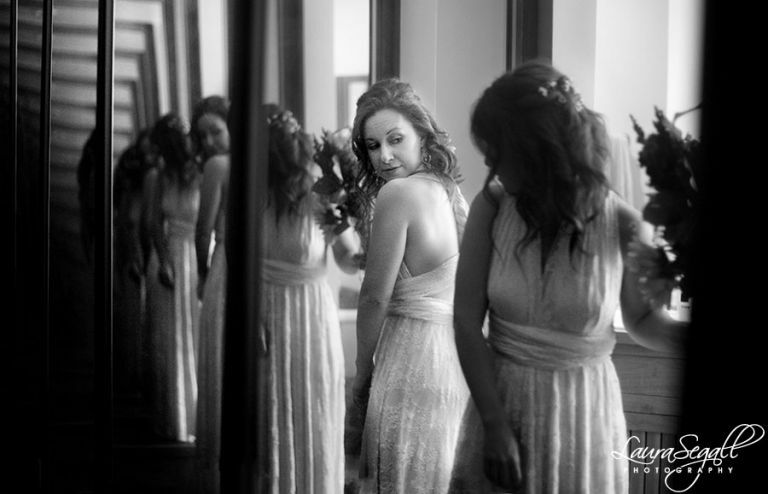 I love the bride’s dress and delicate flowers in her hair. 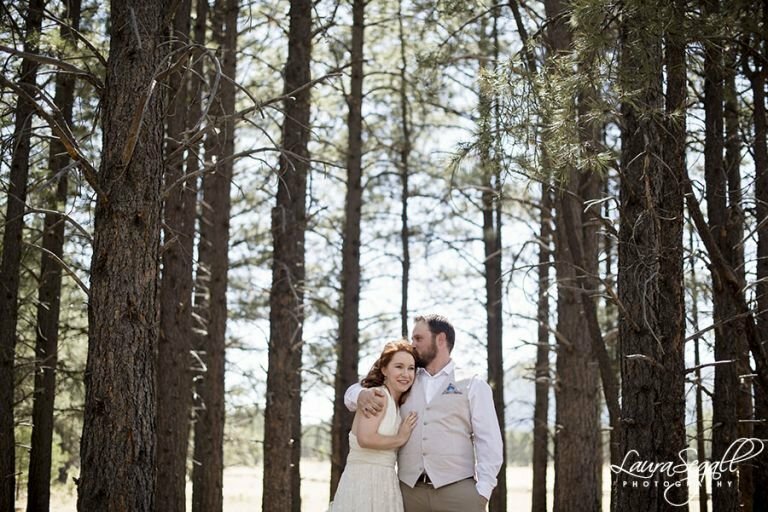 The wedding reception was held at a private cabin in the forest north of Flagstaff. There was a masseuse for the guests to unwind during the party and a grove of hammocks to relax in. The cake topper was one of the cutest I have ever seen, an homage to the bride and groom and the groom’s beloved cat. Twinkle lights wrapped around the property lite up the night. 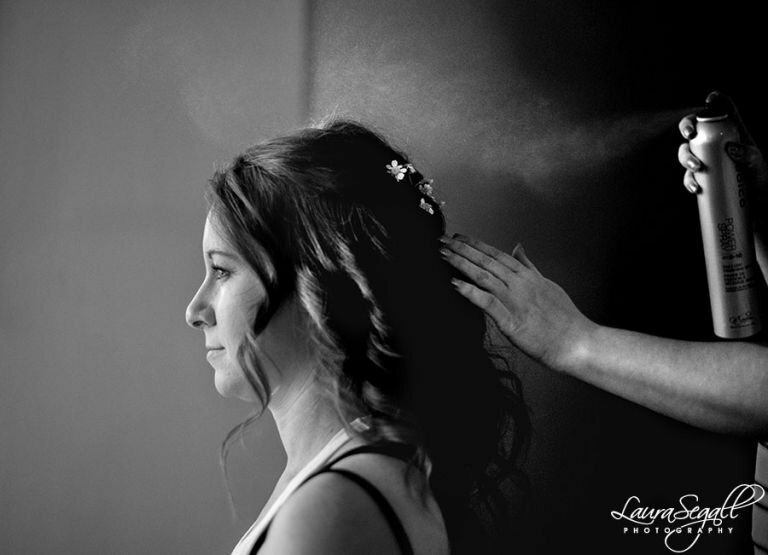 I’m so happy to have been their to capture all the special moments and emotions of the wedding day.